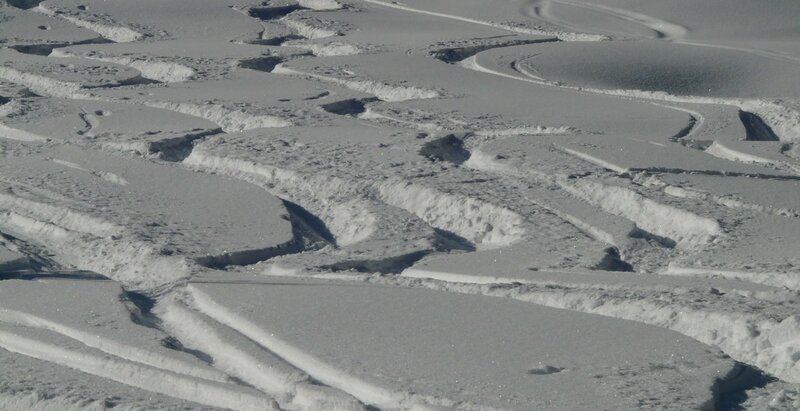 Snowcat skiing is the best way to enjoy untouched, ungroomed, super deep powder with a group of friends! Far less expensive than heli skiing, snowcat skiing will take you to beautiful and remote places that are ideally suited for skiing and snowboarding. Terrain is chosen based on natural conditions and the skill of the group. Your adventure is led by a group of highly skilled and trained professional guides who smile all day long because they ski deep deep pow for a living. Avalanches are the primary hazard when snowcat skiing. Guides are constantly evaluating the snow conditions and avalanche transceivers are provided the guide service. Bring strong legs, gear suitable for bottomless powder turns, and a sense of adventure. Snowcat skiing is not for beginners. Expert skiers and snowboarders will enjoy terrain ranging from wide open powder bowls to tightly spaced trees and cliff drops. If you dream about skiing or riding untouched bottomless powder all day long, then treat yourself to the adventure of a lifetime and try snowcat skiing!